I will be attending my family reunion near Ft. Wayne, Indiana on 7 Aug., and I plan on fishing the western basin on 8 and 9 Aug., and would greatly appreciate any help I can get with respect to general areas to fish for Walleyes and Perch. I joined the Air Force in 1980, and between my Air Force time and civilian time working for the Defense Intelligence Agency, I was able to retire in 2007, although I have continued working for Defense contractors since then, and I've spent a lot of time in some not so fun places over the last few years, so I am finally getting a chance to attend my family reunion, after missing it the last 5 years. WaliDave had helped me in the past, and I have sent him several messages, but he has not responded, and I have not seen any blogs from him, so I hope everything is OK, as he was very helpful to me in the past. 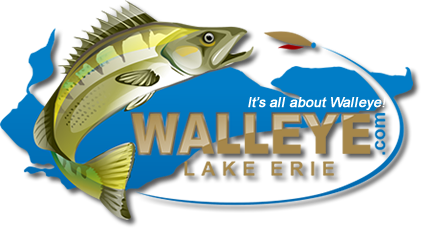 I am bringing my son and boat along and would like to fish on the Western basin for walleye and perch. I would appreciate any info on general areas to fish for casting and areas for trolling. Also, general areas to find perch. I've been watching recent posts, and have some ideas on where to look for both walleye and perch, but would appreciate info on best lures for casting and trolling. A spreader with minnows seems to be the choice for perch, so I will probably pick some up at a bait shop. I would also appreciate thoughts on best boat ramp(s) to use for western basin. I used to fish the western basin as a teenager in the late 1970's, but things have changed a lot since then. Sorry for the long post, and appreciate any help I can get.